Flossing is not only beneficial for the health of your gums – the respected Cochrane review showed that it decreases bleeding of the gums and inflammation known as gingivitis that can turn into periodontitis – but it also seems to help prevent tooth decay. Still, flossing seems to be low on people’s priority list; the Centers for Disease Control and Prevention states that over 47% of adults 30 and older experience some sort of periodontal disease. What’s essential for flossing to be effective, turns out, is to perform regular flossing in a proper manner – the better “flosser” you are, the better your chance of preventing tooth decay or gum disease. The review of six different trials proved that when professionals flossed the teeth of children over the period of nearly two school years, the risk of cavities was reduced by 40 percent. It’s more than just inserting the floss in between the teeth and pushing it out – so what does it mean to be a good “flosser”? Use about 18 inches of floss, wrap most of it around the middle finger of one hand, the rest around your other middle finger. Grasp the floss tightly between your thumb and forefinger, and slide the thread onto the tooth surface. When the floss is at the gum line, form a “C” to trail the shape of the tooth, and holding the thread firmly against the tooth, move it gently up and down. Using fresh sections of floss as you go, repeat this action with the adjacent tooth, until you’ve cleaned all of your teeth. Stay thorough yet gentle when flossing – your gums may bleed when you first start to floss, or if you snap the thread down on the gums or use cutting motion at the bottom of a tooth. If after 1-2 weeks of regular flossing your gums continue to bleed, visit your dentist to determine what’s going on. American Dental Association (ADA) recommends that we floss once a day. Floss without wax is often recommended, as the threads tend to absorb food particles better, and waxed floss leaves a film on your teeth that can act as a magnet for plaque. Still, some people find that waxed floss, such as Oral-B Waxed Dental Floss, is smoother and moves more effortlessly between the teeth, and is less likely to catch on any rough edges of your teeth or begin to fray. If you need something a little more enticing, there’s a mint-flavored variety. You can also get different thickness flosses. This type of floss is made from Teflon, and works quickly and easily. It typically does not stick in between your teeth; if it does, it will come away easily. A popular floss of this kind is Crest ‘Glide’ – it got great reviews and is especially designed for people who are hesitant to floss their teeth. It’s made from a shred-resistant material, stronger and more durable than many other types, and also slides easily between your teeth. Hence, it’s name. Also known as dental tape, such as Colgate Dental Tape, this floss is thicker than regular floss, and has the advantage of not breaking or fraying. It’s often the choice of people who have widely spaced teeth, and works well for those who are new to flossing. Another advantage of tape floss is how smoothly it slides between the teeth, which is why it’s often preferred to other types. 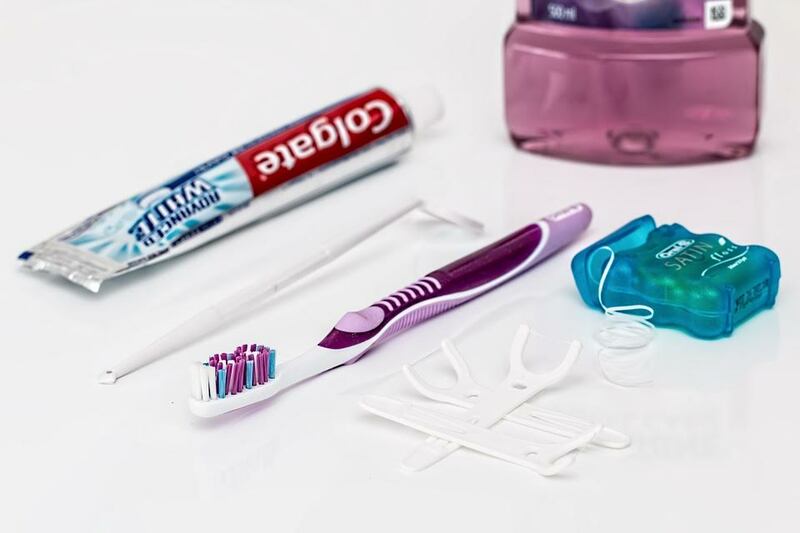 Since it’s crucial that your flossing is proper and effective, you can also use special ‘flossing aids’ if flossing your teeth presents a challenge, and there are many options for people with poor grip and older adults. This is an easy to use aid, and while more expensive than the conventional floss, it offers an additional benefit of massaging your gums at the same time. It’s A floss holder is a small plastic instrument that comes in a particular shape of a letter ‘Y’. The floss is attached to the holder; it varies in length and the shorter the handle the more difficult it is to use. It’s very effective at helping to clean between the teeth and allows you to reach the area with one hand. Floss holder is a great tool for people with dental implants, a bridge, orthodontic brace or crowns, as well as for those who find it hard to reach their back teeth. Flossing sticks look quite like garden sticks. The tighter the floss is wound tightly onto the stick. the greater its effectiveness. Other alternatives to dental floss include toothpicks or ‘interdental’ brushes. However, keep in mind that they don’t do as great of a job of accessing those tricky areas between your teeth and under your gum line. If you were wondering if you ought to floss, remember that experts assure us that benefits of flossing are multiple, and its role in supporting our dental health is very important – it can help prevent cavities, and it helps plaque from hardening into tartar, which can cause receding gums and gum disease. And, for the flossing to be effective, it should be done properly, which your Lancaster PA dentist is here to show you. At Smiles by Stevens, we are passionate about providing you with exceptional dental services, and committed to educating our patients to take proper care of their teeth and gums. We believe that prevention is the best way to take care of our health! Whether you’re in need of a routine teeth cleaning or a more advanced dental treatment – rely on Dr. Shea Stevens, recently named one of PA’s top 20 dentists, and our highly experienced and skilled staff to provide you with a solution in our cutting-edge dental office in Lancaster, PA. Contact Smiles by Stevens general dentistry today, and find out for yourself why we continue to be one of the most trusted and renowned dental practices in the area.